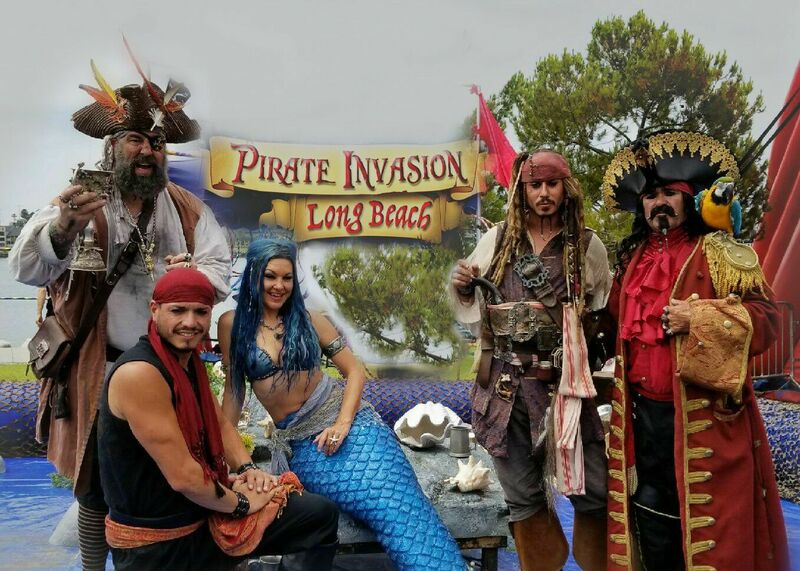 Welcome to Pirate Invasion Island and the 12th Annual Pirate Invasion of Long Beach & Mermaid Festival 2019! Family Pirate Event. All Ages Welcome! 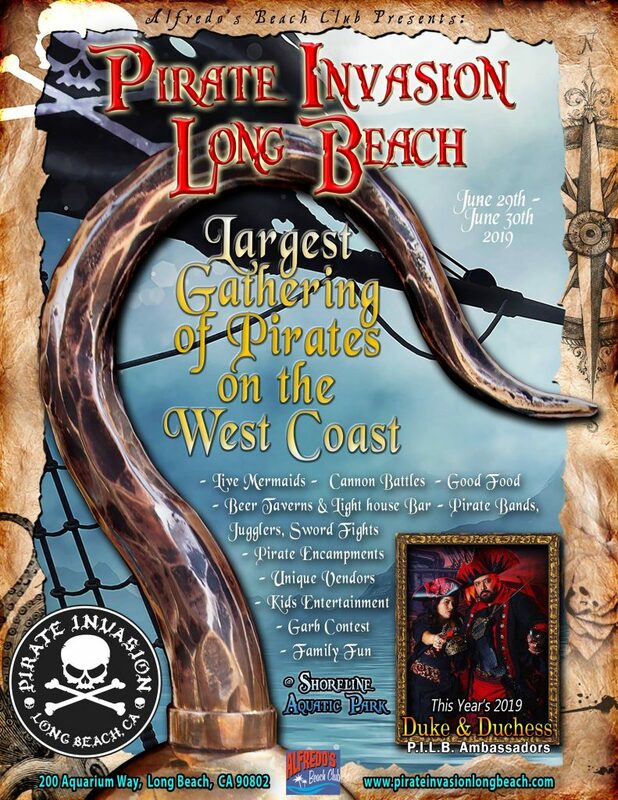 Come to Pirate Invasion Long Beach, Californias largest Pirate and Mermaid Festivals located on the scenic lighthouse peninsula in Long Beach behind the Long Beach Aquarium of the Pacific. 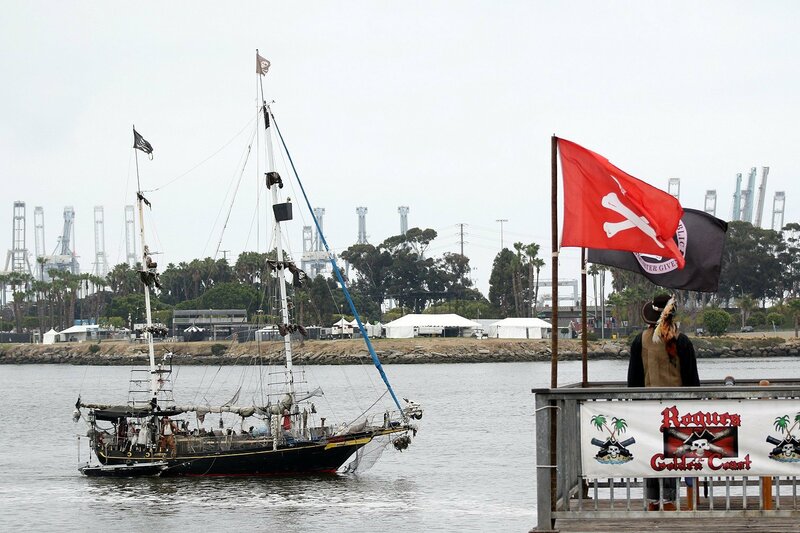 The best pirates from around the globe sail into Long Beach harbor for this event! Pirate Invasion Long Beach where 1000’s of costumed Pirates and 3 Pirate ships will descend on the Shoreline Park for 2 days of all things Pirate. Sword fights, cannon and musket battles, a treasure hunt, adult, and children’s costume contest, an interactive kid’s zone, arts and craft vendors, live and DJ entertainment on our stages, food and grog, a living history encampment, a live production of “Treasure Island”, and this year we’ve added more mermaids, and have a Mermaid themed village . This event has grown leaps and bounds and this year we expect crowds of up to 50,000 guests over the 2 days. In fact, the King and Queen of Spain along with the Spanish Armada is attending! 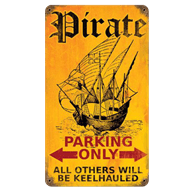 Come listen to face melting pirate rock from the Pirates Charles. Singing and dancing and a good time had by all. Also, see Alfredo’s beach club event page. We are a close drive from Disneyland!